Hero MotoCorp has given the Passion Pro major changes in the engine department. The company has transplanted the 110cc four stroke engine from the Splendor iSmart 110, onto the Passion Pro. This gives the latter more power and torque. 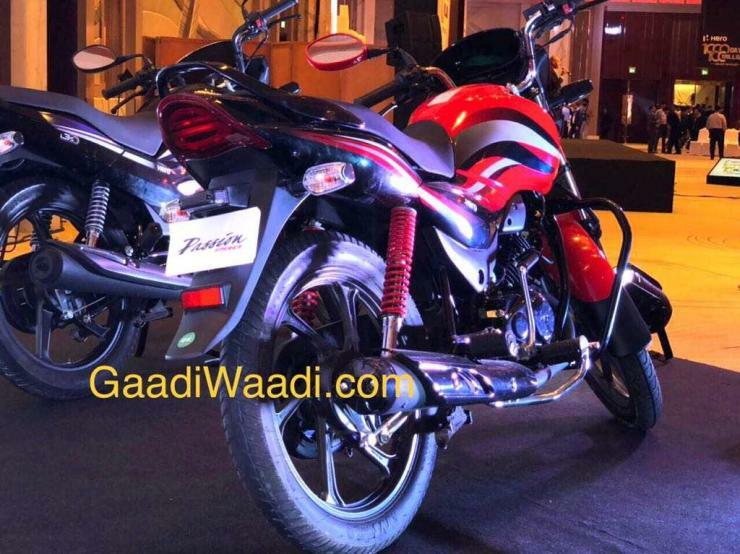 The Passion Pro therefore now has an 110cc engine with 9.3 Bhp of peak power generated at 7,500 rpm and 9 Nm of peak torque generated at 5,500 rpm. The gearbox is a standard 4 speed manual unit that is common to all commuter bikes in Hero MotoCorp’s line up. The bike is expected to have marginally better acceleration due to the power and torque hike. The Passion Pro gets an electric starter as standard. Claimed fuel efficiency is a high 84 Kmpl. The bike also features Hero’s i3S technology which is another name for the idle-stop mechanism. The idle-stop unit shuts the bike’s engine when it is stationary for more than a few seconds. Once the rider presses the clutch, the bike’s engine is restarted. This mechanism reduces fuel consumption at traffic signals, and also helps to cut tailpipe emissions. 130 mm drum brakes are standard while Hero offers a 240 mm front disc brake as an option. Telescopic front forks and a 5 stage adjustable gas charged rear shock absorbers handle suspension. Steel wheels are standard and 18 inch alloys are optional. 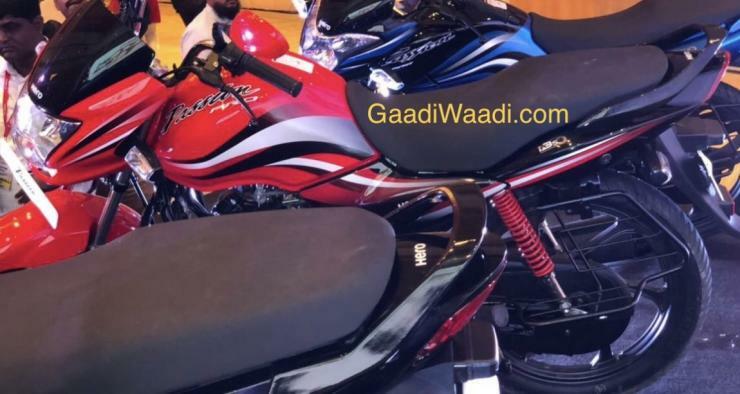 Apart from the mechanical changes, Hero MotoCorp has given the new bike many design changes. The graphics have been updated while the tail lamp has been redesigned, along with turn-indicators. The bike also gets a new rear mudguard design and a chrome-plated heat shield on the exhaust. Pricing is yet to be announced and actual deliveries are expected to happen from January 2018. Expect to pay Rs. 2,000 more for the new Passion Pro 110. The current price of the 100cc model is Rs. 48,600, ex-showroom Delhi.